Jamy J. Sullivan is executive director of Robert Half Legal, a premier legal staffing service specializing in the placement of attorneys, paralegals, legal administrators and other legal professionals with law firms and corporate legal departments. 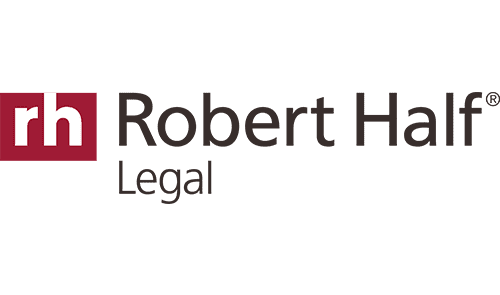 Based in Menlo Park, Calif., Robert Half Legal has offices in major North American and global markets and offers a full suite of legal staffing and consulting solutions. In today’s job market, talented legal professionals are in high demand. Law firms and legal departments are acting quickly to secure their top candidates — pressuring them to make fast decisions after receiving job offers. But taking on a new position is an important and potentially career-changing decision, and you should be looking at more than just the starting salary. Don’t make these five mistakes when evaluating a job offer. Accepting (or declining) the initial offer — Salary negotiation is the name of the hiring game. In fact, when hiring staff, 70 percent of the managers polled for a recent Robert Half survey expect candidates to counter with a higher figure. So be sure to consult reliable sources like the Robert Half Legal Salary Guide to see how much more you could be earning. But pay is only one aspect of a job offer. You could also ask for more vacation days, a hiring bonus, tuition reimbursement, telecommuting options and an enhanced healthcare plan. Don’t hesitate to negotiate perks, especially if the hiring manager is unable to offer you a higher starting salary. Failure to consider work-life balance — In the excitement of being invited to join a new firm, you may brush away worries about a longer commute, more travel, weekend hours and so forth. But if the new job requires you to spend more time in traffic, out of town or at the office, it may not be worth it — especially if you have responsibilities at home. When considering a job offer, ask the hiring manager about flexible hours, work-at-home days and amenities like on-site childcare. If the daily commute will be farther or during peak rush hour, you may soon fall out of love with the new position no matter how interesting it is. Not inquiring about professional development — To remain on top of technological changes and the latest legal trends, you need access to continuing education. Would your new employer help you keep learning and growing in your career? After onboarding, does the company offer any training besides mandatory sessions on workplace discrimination and the like? Even if the company sanctions professional development, who would foot the bill — the employer or the employee? Is there a formal or informal mentoring program? The ideal is to work for a generous organization that is eager to help develop its workforce. With the current unemployment rate, you don’t need to settle for less. Thinking just about the present — This new position may give you an immediate income boost, but how will it affect your career in the long term? You want a job in the legal field that moves you closer to your professional goals, not further away from them. For example, is the company a leader in its practice area and an early adopter of new technology, or is it sedate and set in its ways? Would this job challenge you and help you acquire valuable hard and soft skills, and possibly give you experience in a hot practice area? Seriously consider these intangible benefits — or the lack of them. Ignoring organizational culture — No salary hike or sign-on bonus is worth it if you dread going to the office every day. Consider what you like and dislike about your current organization, taking into account everything from dress code to communication style. Before you sign on the dotted line, try to spend some time in the would-be employer’s office environment. Are workers happy to be there? Do you get positive vibes from prospective colleagues? How well do the workplace values and philosophy align with your own? Your future job satisfaction can largely depend on an employer’s corporate culture. If you’re a skilled legal professional with several years of relevant work experience, many employers will pay more to have you join their team. You have choices and bargaining power. So take the time to assess a job offer, as mistakes with accepting a new role or salary can cost you in terms of both career advancement and earning potential.